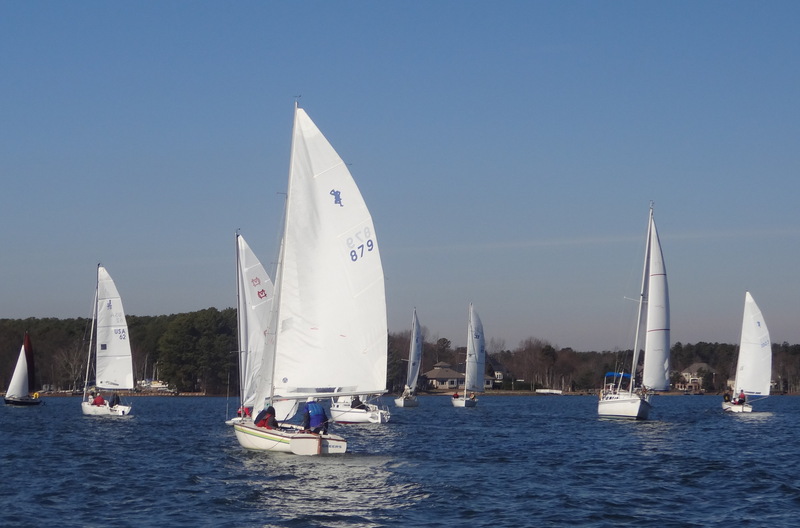 Lake Norman Yacht Club is a vibrant 200-plus member sailing club located on Lake Norman near Mooresville, NC. Our 27-acre site surrounds a sheltered cove adjacent to a large expanse of the lake. On the Club grounds we have a 2-story Clubhouse and open-sided Pavilion with a food preparation area, gas grills, bathrooms and shower facilities. The Club has two docks for 30+ keelboats and dry storage for over 300 boats. Seminars, clinics and on-the-water instruction are an important part of the Club’s commitment to emphasize the enjoyment of sailing, develop members’ sailing skills and highlight the importance of safety out on the water. Current active fleets include 420, Flying Scot, Highlander, J/70, PHRF Keelboat, Laser, MC Scow, Multi-hull, Optimist, San Juan 21, Sunfish, Thistle and Ultimate 20. LNYC typically has Club Series Racing scheduled on 10 weekends between late March and the end of October, culminating in the Club Championship. In addition, there are usually 15 - 20 invitational regattas on the calendar, starting with the Ice Bucket Regatta held on New Year’s Day and ending with the Carolina Keelboat One Design Regatta in the middle of November. Friday night “Fun Sail” events have recently been added to the Club calendar during the summer to take advantage of the early evening breezes that often spring up. The Keelboat Fleet is frequently out on the water during the winter months and again on Wednesday nights in the spring and summer taking part in lake-wide sailing events. The High School sailing season runs throughout the school year, so teams are using the 420s weekly during that time. RACE MANAGEMENT is arranged and run by members of the Club. We have gained a national reputation for conducting well-managed races. The Club has a number of US Sailing Certified Judges, Club Race Officers and experienced race management volunteers within our membership, as well as having a dedicated Race Committee ‘fleet’ of nine assorted skiffs, whalers and pontoon boats. Lake Norman Yacht Club (LNYC) is a member of the South Atlantic Yacht Racing Association (SAYRA) and U S Sailing. This program was started in 1965 with 6 Junior sailors signing up. Nowadays between 40 and 50 youth aged 8-18 are registered each year. The program consists of on-shore sessions during the winter, followed by racing and regatta participation in the summer. 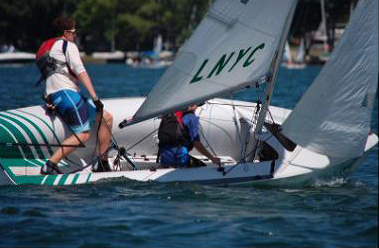 LNYC Junior fleet includes twelve 420s which are used by the registered Junior members and visiting high school teams. Other boats sailed by the Juniors are Optimists, Lasers and Sunfish. The Club encourages Junior participation in SAYRA and US Sailing events as well as participation in the ISSA high school sailing program. Currently 3 teams practice at LNYC: Lake Norman HS, Pine Lake Prep and Myers Park HS. The most popular event of the Junior sailing year is without doubt the week of Sailing Camp in June, with between 80 and 100 ‘campers’ participating each year. (In 2018 the dates are June 11 to15). Instructors and Camp management is provided by volunteer Club members. No one knows whether the juniors or instructors have more fun! Many LNYC members donate a week of their vacation year after year in order to make this event happen. Some of the Club's top sailors got their start in the Junior Program and now third generation participants are starting to enjoy this great sport. At the end of the day, there is nothing more pleasurable than swapping tall stories with fellow sailors over a cold beverage. Fleets take turns to host the Club Dinner after Club Series Racing on Saturdays and many individuals volunteer to help with other club-sponsored events such as the Winter Social in February, the July 4th Regatta and the Labor Day Regatta. Other notable highlights during the year include Commissioning Weekend in early spring, the Hospice Regatta Auction & Party in late spring and the annual Shrimp Boil hosted by the Past Commodores towards the end of the summer. Other social events pop up as a result of members wanting to get together just for the fun of it, such as informal Pot Luck dinners on Friday nights before a Club Series weekend, the annual Super Bowl party and Fleet Christmas parties held in the Clubhouse. LNYC members are also very generous with their time and talents when it comes to giving back to the community. The Club has been hosting an annual regatta to benefit a local hospice since 2001 and began hosting a Special Olympics Sailing Regatta in 2013 with club members taking on the role of Unified Partners. The Club also helps the Lake Norman Special Olympics program raise money by hosting a “Polar Plunge” early in the year. A “Discover Sailing” event is held in the spring to encourage new and lapsed sailors to get involved in the sport and participants in the “Keelboat Christmas Flotilla & Parade of Lights” donate items for the “Toys for Tots” program. Lake Norman Yacht Club was incorporated in September 1961, even though the 50-square mile lake was not completely full until 1963. The original 14-acre site leased from Duke Power occupied the north side of the cove currently occupied by the Pavilion, camping sites and the centerboard and multi-hull dry storage areas. Duke Power offered the club additional acreage on the south side of the cove in 1966, which is where the Clubhouse was constructed in 1969. In 1986 LNYC was able to purchase the land it stood on from Duke Power, ensuring the stability of the club for many years to come. The first official race was held on May 26, 1963, at which time the club consisted of a single dock, a mud turnaround, a Porta-Jon and an 80-feet long launch ramp that had been built while the lake was still filling up. The first racing marks were peach baskets kept afloat by Styrofoam boxes. 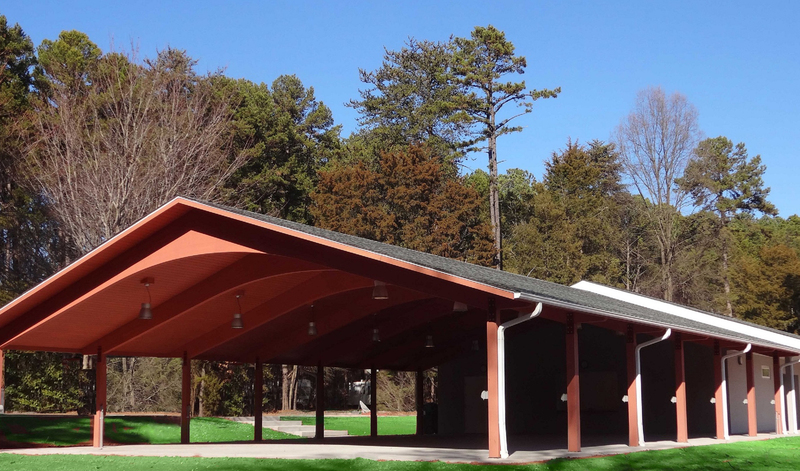 During that summer club members erected a steel-framed bath house that was extended in 1964 to include an open-sided pavilion topped with a tin roof to accommodate picnic tables and provide shelter from the weather. This structure was renovated and upgraded over the years until it was demolished in August 2014 to make way for a brand new Pavilion.